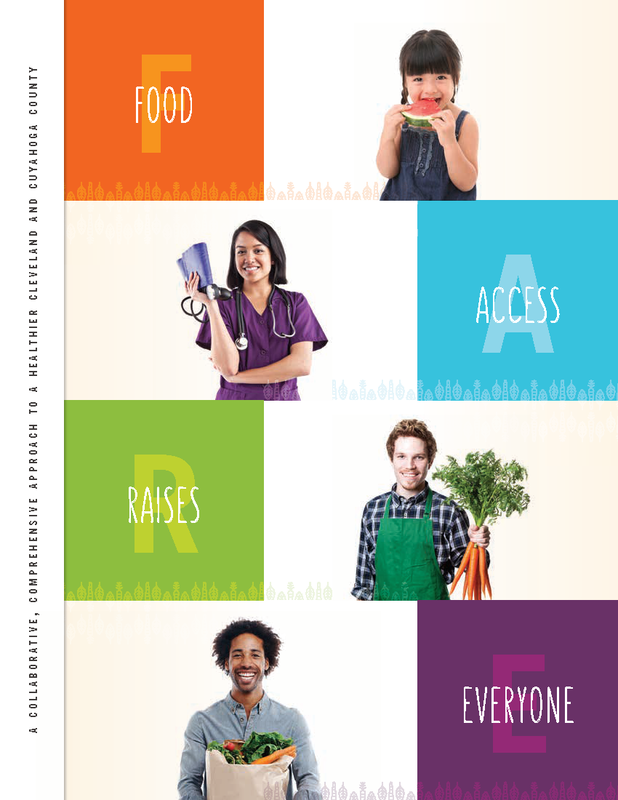 The Food Access Raises Everyone (FARE) Project is a broad-based, community-wide initiative designed to connect and support organizations and individuals engaging in healthy food access work in Cleveland and Cuyahoga County. The project provides support within and across eight program areas, leading to increased capacity and coordination across sectors, building demand for access to healthy foods and improved health outcomes for our residents and neighborhoods. Over the last several years, The Food Trust, a national nonprofit food access organization, has had the opportunity to partner with local organizations doing this work throughout Ohio. In 2015, as a result of these relationships, The Saint Luke’s Foundation supported The Food Trust and local partners Erika Trapl, PhD, and NOCA colleague Morgan Taggert to undertake a one-year assessment and planning project to identify opportunities to support local efforts and achieve a more comprehensive and collaborative approach to food access in Cleveland – Cuyahoga County. The information collected through this process is shared in a new report intended to be used by those who read it to inform their own plans and forge new partnerships. FARE is currently housed at the PRCHN office, strengthening our relationship with The Food Trust and enhancing our efforts in healthy food retail.